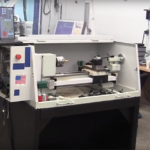 Want to use a Smoothstepper and Servos for your CNC project? 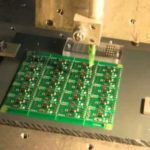 Due to a query from a customer, I put together this quick page that shows how I set up my CNC4PC boards and Smoothstepper for the Servo setup on my IH mill. If you’re curious about how something like this helps, see my articles on motion control boards for use with Mach3. This combination of boards specifically addresses the use of the Smoothstepper motion control board, which improves Mach3 performance quite a bit, as well as the use of servos and the need to have electronics that will stop all motion if a servo faults. 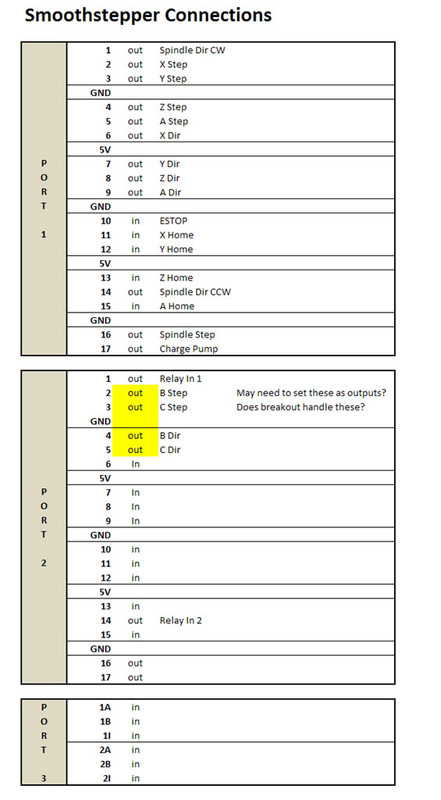 – A, X, Y, and Z-Axis Step + Dir signals to the Geckodrives. Requires 8 outputs. – Aux 1 and Aux 2 Axes Step + Dir, possibly for a tool changer. Requires 4 outputs. – A, X, Y, and Z-axis limit switches: Requires 4 inputs. The Smoothstepper offers 2 simulated parallel ports and a total of 24 outputs and 10 inputs. 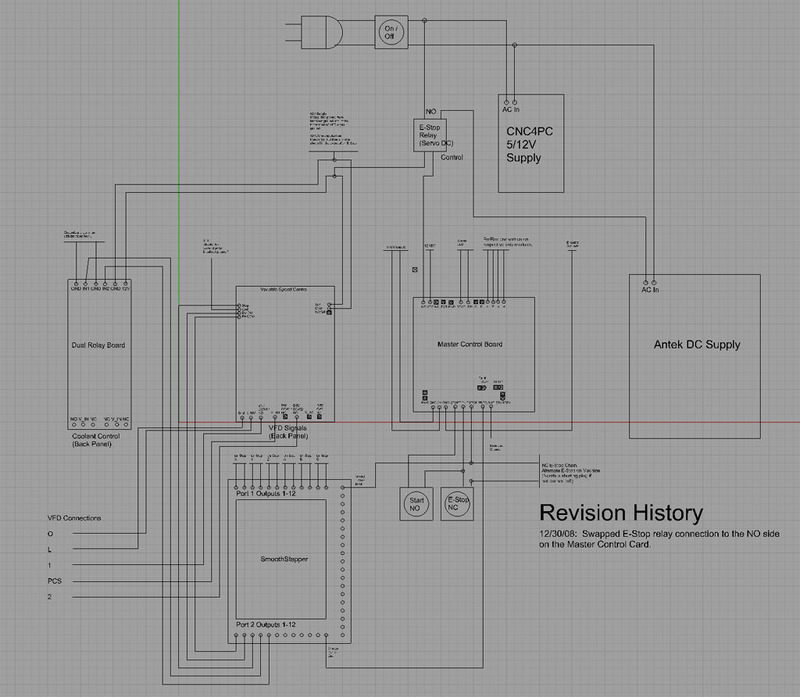 I need 18 outputs and maybe 5 inputs for this project so I’ll be fine with a Smoothstepper. In fact, I’ll have a spare 6 outputs and 5 or 6 inputs. A breakout board to allow point to point wiring for a Smoothstepper. When I hit the E-stop on this beast, I want everything to stop! Also, if the charge pump signal from the PC goes dead, that should trigger an E-stop as well. If there is a servo fault (possibly because a back g-code program has the spindle chewing at high speed into my Kurt Vise or mill table! ), I want an E-stop. And lastly, the E-stop should be a normally closed circuit, so that a break in the wiring triggers the E-stop. I’ll be using the CNC4PC C17 Master Control Board to handle all this power control. It’s set up to accept the servo fault signals from Gecko Servo drives (which are a bit idiosyncratic), an E-stop circuit, a charge pump input, and a Start button, and do the right thing with an output. I’ll use that output to control a larger solid state relay (I’ll be using a 20 amp / 240 VAC unit) that controls the AC power into the servo DC supply. The output provides a 5VDC signal to control the relay which will be run in a Normally Open configuration. Removing power from the relay will therefore open the contacts and cut AC power to the servo DC supply. In addition, the +5VDC signal will be used as the +5VDC supply for the spindle control board and the coolant relay board. These boards will also be connected in such a fashion that if the 5VDC supply fails, the spindle and coolant will be shut off. I purchased a couple of E-stop switches from CNC4PC. These are the standard red plungers that must be rotated and unlocked before you can restore operation after they have been triggered. I plan to mount one on the CNC electronics enclosure where it’ll be close to the computer console, and the other will be mounted on the mill spindle in place of the current power switch so it’s handy if you’re over by the machine. See the description above for what this board does. Control up to 25A of AC current with a front panel or other lower voltage signal. Has a an available DCM-100 load dump circuit ($59.95) to stop the juice right now! 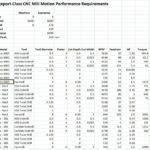 The DCM-100 acts as DC distribution for up to 4 axes. Use it in place of heavy duty terminal blocks. Handy little card implements Mach 3 Safety Charge Pump functionality. 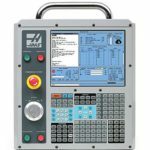 See the VFD and Spindle Control page for full details. 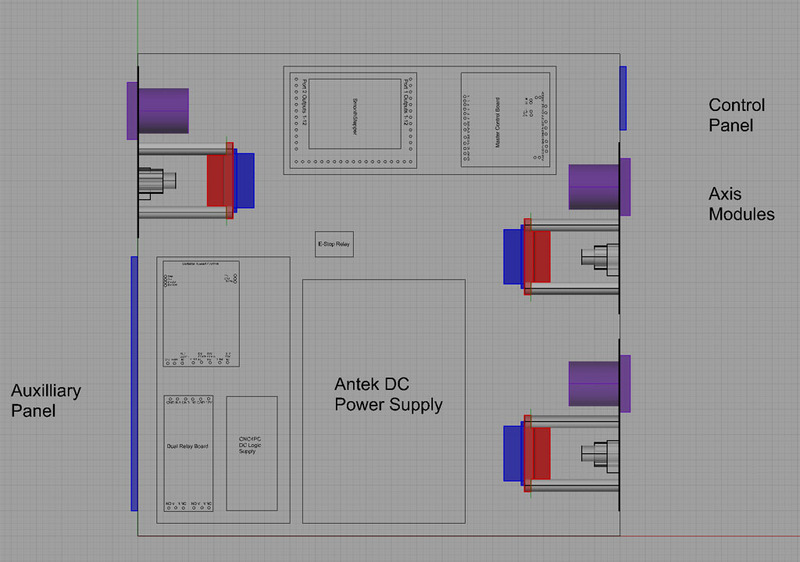 I’ll be using a CNC4PC Variable Speed Control board and a Hitachi VFD. 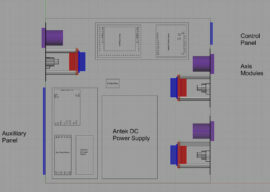 We need DC at +5 VDC and +12 VDC for various cards, so the CNC4PC power supply does a reasonable job for about $25. Gives acccess to the 6 pins of a PS/2 style mini-DIN connector. Full on pendant with E-stop, MPG, and the works. Connects to the PC via a serial cable. Arturo runs CNC4PC and Peter runs Homann. These two gents have been wonderful to deal with, their products are excellent, and I highly recommend them. Preliminary, and for informational use only. 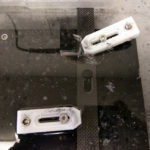 Do not use as a plan for your CNC machine! For clarity, I have not specified the wiring to the axis modules. Each axis module requires servo DC and ground from the DC supply and Geckodrive step/dir signals from the Smoothstepper. The wiring of an individual axis module is covered on the axis module page. 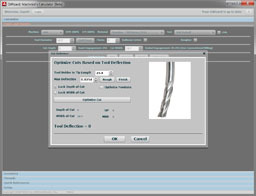 – The details for how the VFD and spindle control is achieved may be found on the VFD page. – The E-stop functionality is handled by the master control board. An E-stop condition is triggered by a manual E-stop switch, a charge pump failure (i.e. the PC is no longer communicating with the system), or a servo fault as signalled to the Master Control Board by the Geckodrive. When an E-stop is generated, the normally closed VCC supply access (+12VDC) is shut off. This causes the main AC supply relay to open, and the 12VDC supply to the spindle control and coolant relay boards to be shut off. 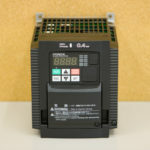 The AC supply relay supplies AC to the DC Servo Power supply. – There are 3 front panel controls: On/Off, which physically interrupts the main AC relay. E-stop (the other is mounted on the mill itself) which will shut the system down if pressed. And lastly, a Start button that is used to tell the Master Control Board to turn off the E-stop condition and make the spindle, coolant, and DC servo supply available for operation. The yellow shading on Port 2 pins 2-5 indicates some confusion on my part. The Smoothstepper at this stage is not very well documented, and there seems to be no doc at all on my CNC4PC breakout board that the Smoothstepper plugs into. My desire is to use those 4 pins as step/dir outputs to control the remaining 2 axes, but I am not sure exactly how to make this work. Either the breakout board won’t handle it at all, in which case I won’t have enough outputs to run 2 more axes, or more likely I have to access some setup utility to decide which way these bi-directional parallel pins are to be used (as inputs or outputs). Needing a B and C axis is somewhere out in the future, so I’m not going to worry about it while doing the initial conversion. I expect to use them to control a toolchanger rather than to actually try to run a 5th or 6th axis as well.